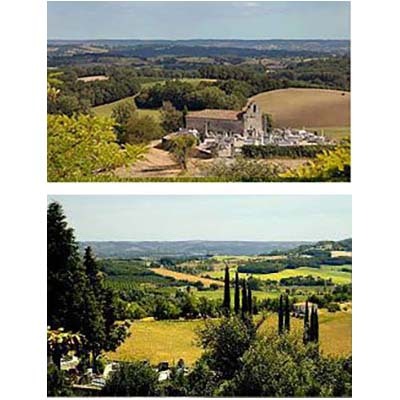 Some reasons to visit "Chez-nous"
The Lot-et-Garonne is a Départment, in the old areas of Gascony and the Guyenne, in the Région of Aquitaine, in south-west France - an area full of fascinating and important history. 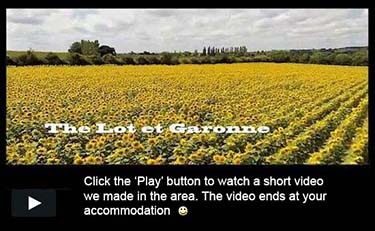 Lying immediately south of the Dordogne, the Lot-et-Garonne is situated south-east of Bordeaux and north-west of Toulouse, apx. 130 kms from the Atlantic coast and a little over two hours from the Spanish border. 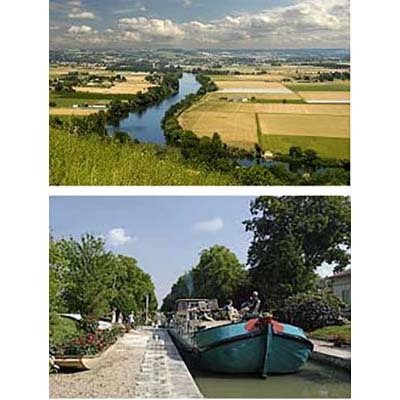 Because the Department carries two of France's principal rivers, the Lot and the Garonne, the landscape is beautifully verdant and incredibly varied. Broad, fertile valleys wind past picturesque ranges of hills to meet at the confluence of the rivers just to the south of us, at Aiguillon. From there, the mighty Garonne carries all, flowing majestically past us, watering the world-famous "Bordeaux" vineyards of the Gironde, before surging on through the city of Bordeaux itself, and out to the Atlantic. 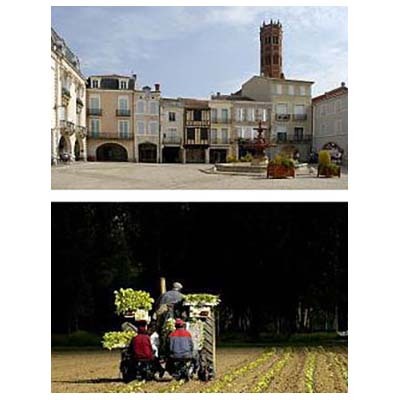 Due to the very fertile river deposits and the abundant supply of water available, the economy of the Lot-et-Garonne is heavily reliant on agriculture, with tourism still in its relative infancy. Consequently the roads are very quiet and, unlike the Dordogne and Provence, few places are crowded even in the height of summer. 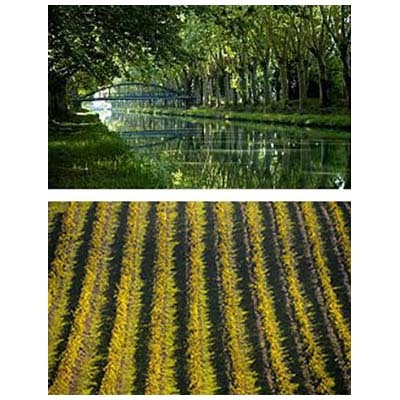 You will see growing in abundance, vines, maize, all kinds of fruit, fields of sunflowers, vegetables and many varieties of trees. 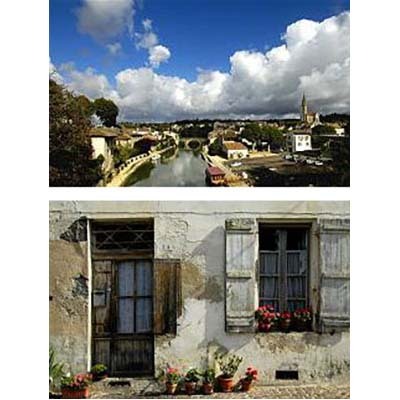 The Lot-et-Garonne is also the home of the world-famous Agen prune. And, of course, with the agriculture comes the wildlife; you will find many birds of prey here (look out for magnificent red and black kites riding the thermals high above). Our summers are significantly warmer and sunnier than further north, with long settled spells. Rain is not usually a problem as, when it does come, it tends to be very heavy and of short duration. 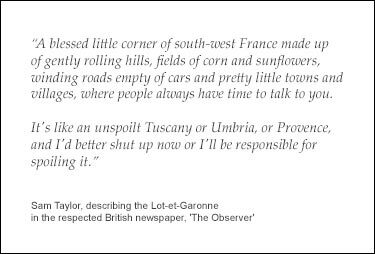 The Lot-et-Garonne is France as most people imagine it to be. Warm, verdant, historic, colourful, sparsely populated, and very picturesque. 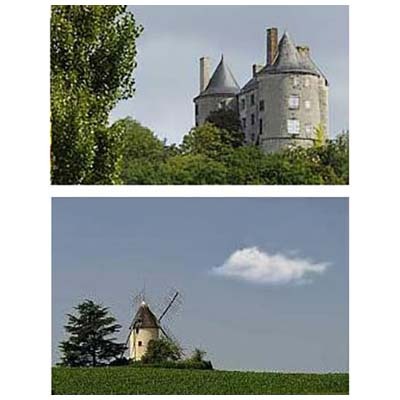 It also has some of the best food and wine, the most beautiful scenery, and the loveliest and friendliest of people.